Longarm quilting is the process used to sew together a pieced quilt top, quilt batting and quilt backing into a finished quilt using a longarm machine. 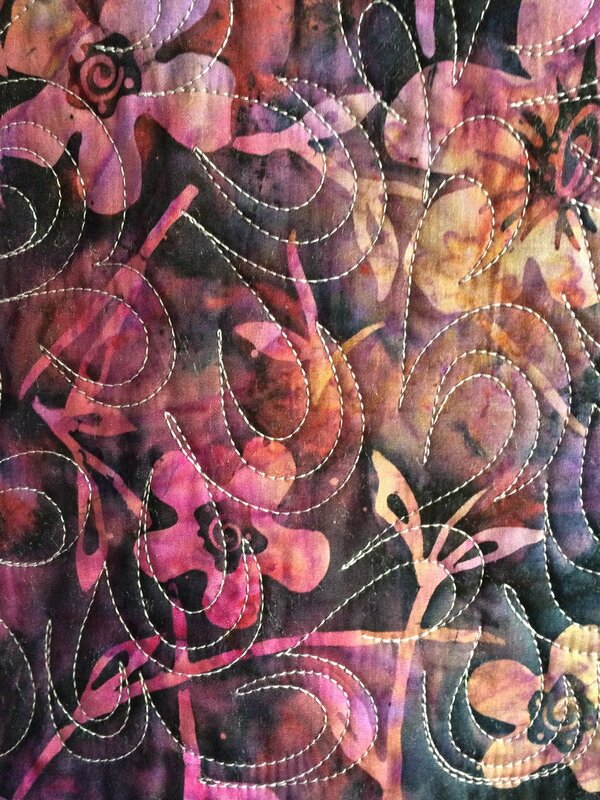 Stitching is decorative and can be edge to edge, all over or custom/free motion. The backing can be pieced using one fabric or parts can be pieced with leftover fabric from the front. Our longarm quilting services include edge to edge, all over and custom/free motion quilting, and basting for quilts up a standard king-size. Other services include binding and t-shirt quilts. Your quilt is your creation; one that you have put in time, effort, patience and care. I will work to understand and support your vision of your completed project. I am located in the Emeryville/Berkeley/Oakland area.